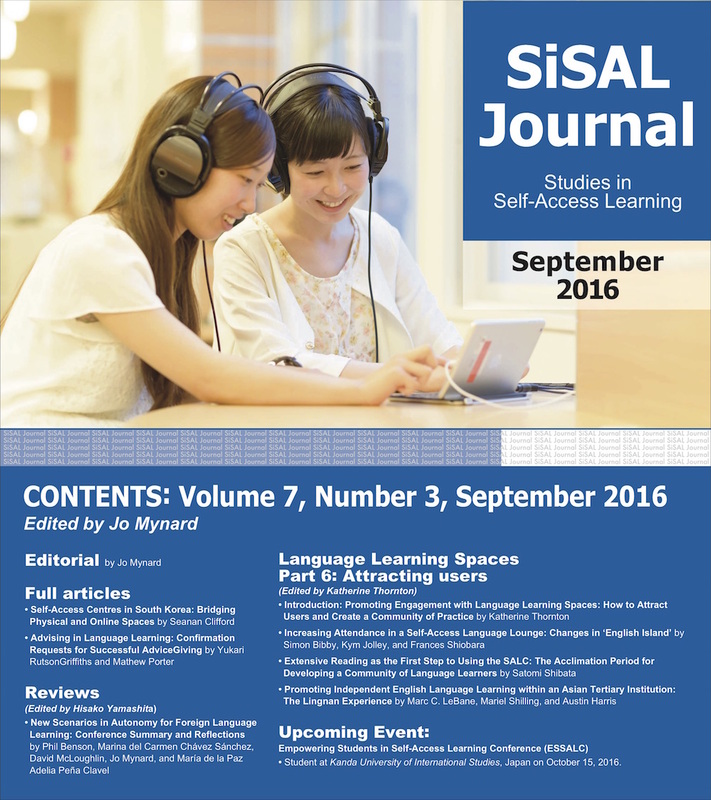 Studies in Self-Access learning Journal, Volume 7, Number 3 (September 2016) is a general issue and was edited by Jo Mynard. There is one more week for students to submit their proposals to present at the student conference organised by the SALC (Saturday October 15th). We are interested in hearing from students who would like to share aspects of their learning in a self-access centre. Students should submit proposals to give a short oral presentation, a workshop or a poster presentation. It can be individually or in groups. Presentations by Skype are also possible. Everyone has seen the new building going up on campus, but we finally had the chance to look inside. Here are some photos. The building will open in April 2017 and will house the new SALC, the ELI areas and all the ELI and SALC teachers, learning advisors and staff. Everyone is welcome to attend SALC events. More details of September workshops here: https://elisalc.org/workshops/ (and online sign up). Designing an optimal learning environment: From the perspective of self-access learning materials.